Refinancing can be a great financial move if it reduces your mortgage payment, shortens the term of the loan or helps to increase your home’s property value, and in turn, its equity. 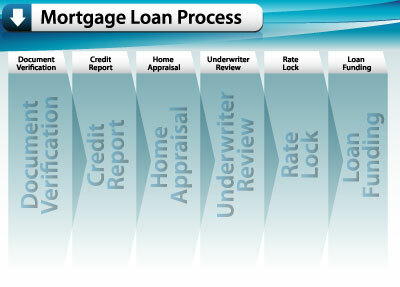 The home refinancing process is similar to the home buying process. Home value, credit worthiness, and debt-to-income ratios will all be re-evaluated. Refinancing, in its simplest terms, pays off an existing mortgage and replaces it with a new one. At Maximum Lending, we are committed to working with you one-on-one in completing each step, in order to ensure a stress free experience. Whether you are refinancing in order to obtain a better rate, convert from an adjustable-rate mortgage (ARM) to a fixed-rate mortgage or tap into your home’s equity, our expert loan officers will fully prepare you for the home refinancing process. Bank, investment, and retirement account statements for the past 60 days. A quarterly statement will suffice. All pages are required. Most recent mortgage statement. Your mortgage must be current before applying for refinancing. Individual circumstances, such as divorce or bankruptcy, may require the provision of additional documents. Please discuss this with your loan officer. Now it’s time for a little legwork. Whatever your reason for refinancing, you’ll want to secure the best interest rates, as well as thoroughly research all available refinancing options in order to determine which option is best for you. When you refinance, you have several options, including: The Home Affordable Refinance Program (HARP), Reverse Mortgages (limited to seniors 62 years of age or older), and traditional refinancing. Our expert loan officers can provide you with detailed information on each of these refinancing options. You can also use our mortgage refinancing calculator. To apply for refinancing, you will be required to complete an application with one of Maximum Lending’s expert loan officers. Application details include information about yourself and the property. All information provided should be accurate and match the documents you put together in step one. You will be required to provide documentation after applying for refinancing. Before approving your loan, Maximum Lending requires that all properties being considered for refinancing be appraised, in order to determine the property’s appraised value. A licensed appraiser will thoroughly inspect the property, note the number of rooms, as well as note any special amenities and/or characteristics that may affect the property’s value. They will then compare the property to recent sales in the area and price accordingly. We take this value into consideration when determining the amount and terms of a mortgage. Once you’ve received final approval, you are ready to close.